Which Republicans Top Iowa’s Extreme 16 Contest? 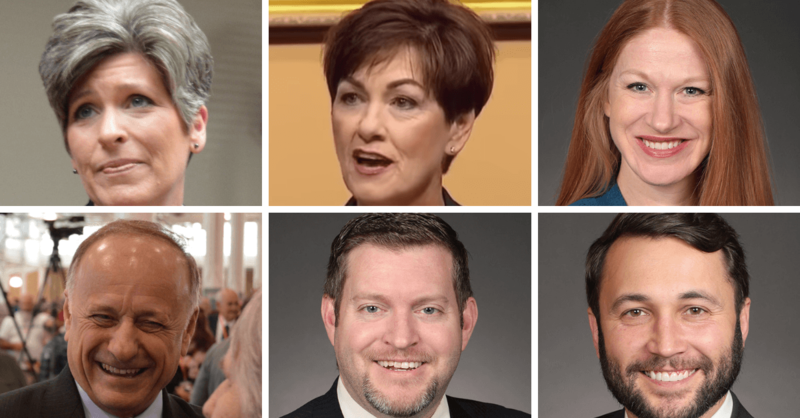 Progress Iowa released their ranking of Iowa Republicans’ Extreme 16 contest for the year, highlighting which elected officials have had the worst impact on Iowans. Following the Progress Iowa press release, Representative Bobby Kaufmann (R-Wilton) responded to his inclusion in Progress Iowa’s annual listing of the most extreme Iowans. Des Moines, Iowa — In a stunning upset, underdog State Senator Amy Sinclair claimed the top seed in this year‘s Extreme 16, the annual list of the most extreme Iowans released by Progress Iowa. Another surprise this year was the third seed given to Congressman Steve King, who seemed like a strong contender for the top spot, given his affinity for white supremacy. King was seeded seventh in last year’s Extreme 16 bracket. In an unusual move, the father/son combination of Jeff and Bobby Kaufmann co-earned a spot in the Extreme 16 as the twelve seed this year. 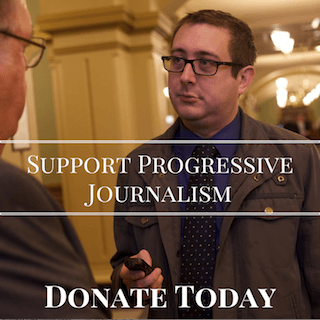 Progress Iowa is a multi-issue progressive advocacy organization with a network of more than 75,000 progressives. Year-round, Progress Iowa advocates for a stronger middle class, first-class public education, and fairness for all Iowans under the law. For more information, visit progressiowa.org. Amy Sinclair, State Senator (2018 ranking: 2) – Sinclair takes the top spot this year, after building on a strong resume as the #2 seed in last year’s bracket. She hasn’t missed a beat in 2019, ending the transparency rules for subcommittee meetings in the Education Committee as Chair; pushing an unconstitutional education voucher scheme that would undermine public schools; and attending a meeting with Education Secretary Betsy DeVos without inviting her constituents or members of the public. Kim Reynolds, Iowa Governor (2018 ranking: 1) The Governor continues her assault on working families and continues to underfund public schools. Last week she tried to keep private a meeting with Secretary of Education Betsy DeVos (we found out about it anyway). Steve King, U.S. Congressman (2018 ranking: 7) After the closest election of his political career, did you think King would slow down his racist rhetoric? Nah, we didn’t either. A true embarrassment to our state and country. Joni Ernst, U.S. Senator (2018 ranking: 11) Senator ‘Squeal’ has been busy raising campaign cash behind closed doors from the healthcare industry, at $5,000 a ticket. Meanwhile she’s voted seven times to repeal the Affordable Care Act, won’t support legislation to make the Mueller report public, and refuses to stand up for Iowans while backing President Trump more than 91 percent of the time. Jake Chapman, State Senator (2018 ranking: n/a) Introducing a constitutional amendment making medical decisions for every woman in the state? Check. Hypocritically supporting the death penalty despite being “pro-life”? Check. Extremism and hypocrisy vaulted Chapman from off the list to the #5 seed this year. Michael Bergan, State Representative (2018 ranking: n/a) Another new addition to the Extreme 16, Bergan had his lawyer argue that votes cast by his constituents shouldn’t count. That bears repeating: Bergan didn’t want the people he represents to be able to vote. Unbelievable, but true, and truly extreme. Roby Smith, State Senator (2018 ranking: n/a) Who thinks all Iowans should be able to vote, regardless of what time they get off of work, whether they’re a student, or where they live? Not Roby Smith, according to legislation he proposed this year. Matt Windschitl, State Representative (2018 ranking: 13) Guns, guns, and more guns. In the year since the Parkland shooting that sparked the March for Our Lives protests, there has been nearly one mass shooting every single day. But that hasn’t stopped Windschitl from drafting legislation and a constitutional amendment that would make a similar tragedy more likely in Iowa. Donald Trump, U.S. President (2018 ranking: n/a) A newcomer to this bracket, Trump has been a disaster for the country and for our state. From a Twitter Trade War that hurts farmers to proposing cuts to Medicare and Social Security (which he promised he wouldn’t do), Trump has done all he can to hurt our state. Brad Zaun, State Senator (2018 ranking: n/a) Zaun introduces some truly awful legislation. Ending tenure at our public universities. Privatizing public pensions and putting retirement security at risk for so many Iowans. And he stood smiling next to the most dangerous person in America for our public schools (Betsy DeVos) while she came to Iowa without meeting any member of the public. Ashley Hinson, State Representative (2018 ranking: n/a) Despite occasionally passing herself off as more moderate, Hinson’s voting record is truly extreme: the most extreme abortion ban in the country, gutting worker’s rights and worker’s compensation, underfunding public schools, extreme gun legislation, and more. She’s earned her #11 seed and has the potential to move up next year. King Kaufmann & Prince Bobby, Iowa GOP Chair & Son/State Representative (2018 rankings: n/a) These two have been bullying their way around Iowa politics for years. Their bloviation is truly extraordinary, and is backed up by almost nothing of real substance. This year Prince Bobby threatened advocacy groups for speaking out, branding them liars for standing up for their members and issues they support. King Kaufmann used the Iowa GOP to rise to his son’s defense. And despite his dishonest campaign of smear tactics, even the King couldn’t prevent Eric Giddens from winning the special election in Senate District 30. Linda Upmeyer, State Representative (2018 ranking: 5) As Speaker of the Iowa House of Representatives, she’s responsible for every terrible and awful piece of legislation that moves. And there are some truly terrible bills that have moved. Jason Schultz, State Senator (2018 ranking: n/a) Which legislator ratcheted up the war on poor people? That would be Jason Schultz, who wrote the legislation that would prevent many Iowans from being covered by Medicaid if they even temporarily become unemployed. Gary Carlson, State Representative (2018 ranking: n/a) Flying somewhat under the radar, Carlson has a consistent and extreme voting record in the Iowa House. To boost his extreme resume, he was the floor manager for legislation that gutted worker’s compensation, sticking it to families all across the state. Chuck Grassley, U.S. Senator (2018 ranking: 9) Brett Kavanaugh. Neil Gorsuch. Merrick Garland. Grassley’s place in history is written in stone, for the nuclear bomb of politicization he brought to the Supreme Court nomination process. Charles Schneider, State Senator (2018 ranking: n/a) When you bring a three point shooter off the bench, they’re in the game to shoot threes. And when you bring the Reason Foundation into Iowa, as Schneider did, you’re doing it because you want to privatize public pensions. It’s what they do. Their presentation, along with legislation introduced in the State Senate, has given every Iowan who values their retirement security reason to be concerned. Iowa Farm Bureau, Insurance company (2018 ranking: n/a) Every year, Iowa Farm Bureau passes itself off as a group that represents farmers. Every year, Iowa Farm Bureau lobbies the legislature representing what it truly is: a huge insurance company looking out for their own bottom line. 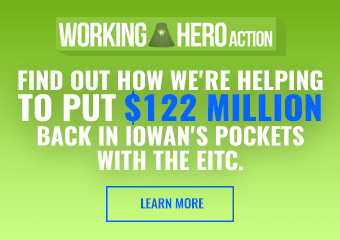 It’s a brilliant marketing campaign, but the bills they support hurt average Iowans every day. Steve Holt, State Representative (2018 ranking: n/a) Holt ran the committee that denied Iowans their right to vote in House District 55. And as Judiciary Chair he’s pushing forward dangerous changes to Iowa’s judicial nomination process, adding more politics to our courts. Jeff Kaufmann,chair of Iowa R’s., need to be curtailed. His publicity stunts against Hubbell and Giddings are a great pathway to hell. 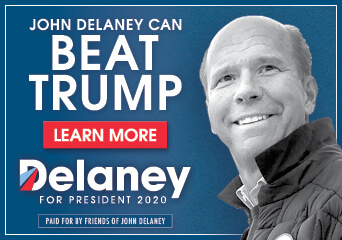 I we dems are to succeed in 2020, we need to shut him up. How did Sen. Zaun only come in 10th?